Any company involved in the transportation, manufacture or storage of dangerous goods is required to appoint a Dangerous Goods Safety Adviser. 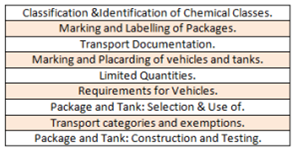 This course aims to equip participants with the skills and knowledge necessary to pass the Chartered Institute of Logistics and Transport examinations and work within the growing Irish chemical industry in the role of a Dangerous Goods Safety Adviser. This is a five day training programme with the fifth day dedicated to a preparatory mock exam. There are two additional (optional) tutorial days to help participants with exam preparation. The course runs three times a year with regard to the exam dates set by the Chartered Institute of Logistics and Transport. We have locations in Dublin, Cork and Galway. 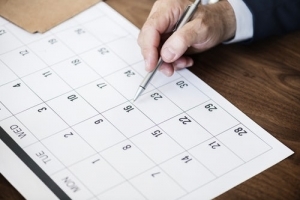 Exams are held in March, July and November in Dublin, Cork and Galway. From 1 January 2019 there will be 2 DGSA Examination Papers which will replace the old format of 3 Examination Papers. 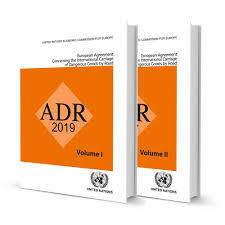 Candidates can bring ADR 2019 Volume I & II and Consolidated CDGR into the exam with them.